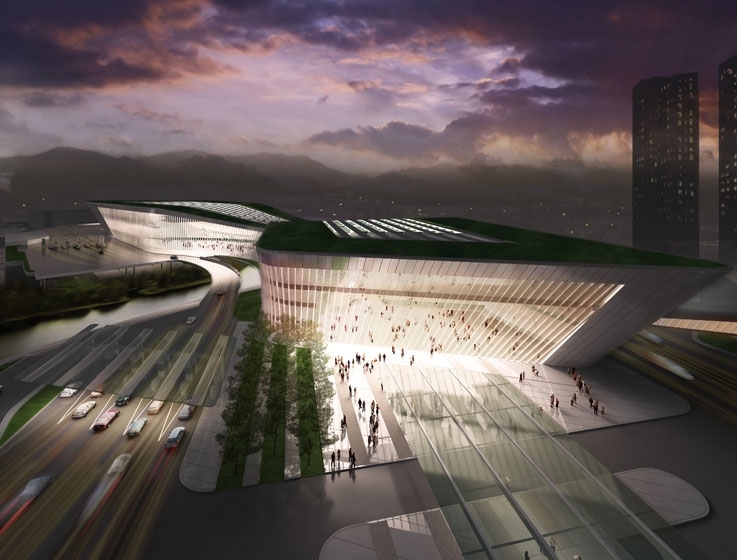 Tate Snyder Kimsey partnered with Huayi Design Group on the Liantang Border Crossing design competition. The border is located in the Liantang District of Shenzhen, within the Guangdong Province. The gross building area is 872,000 square feet, including 14 commercial buildings, two non-commercial buildings and a 280,000 square-foot border-crossing building. The 775,000 -square-feet site accommodates up to 3,000 people and 15,000 vehicles per day. Due to the constrained site area, the team chose a two-story configuration segregating commercial cargo inspection and passing on the ground floor, and non-commercial passing on the second floor. Multi-modal public transportation is located underground. 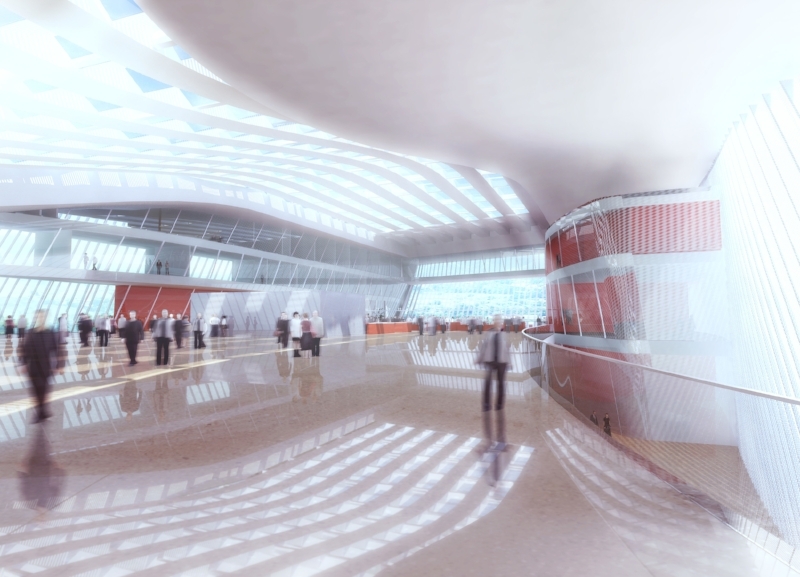 The border crossing building is the largest and most important building in this project. The light and fluid form is articulated with the use of vertical fins. The fin system, generated through a number of solar access studies, provides shading to reduce heart gain as well as a dynamic interplay of light and shadow as the sun moves throughout the sky. This project is designed using the China Three-Star System and is targeting a LEED Gold or Platinum equivalent certification level.